Langendoen Homes Breaks Ground at Lookout Point! 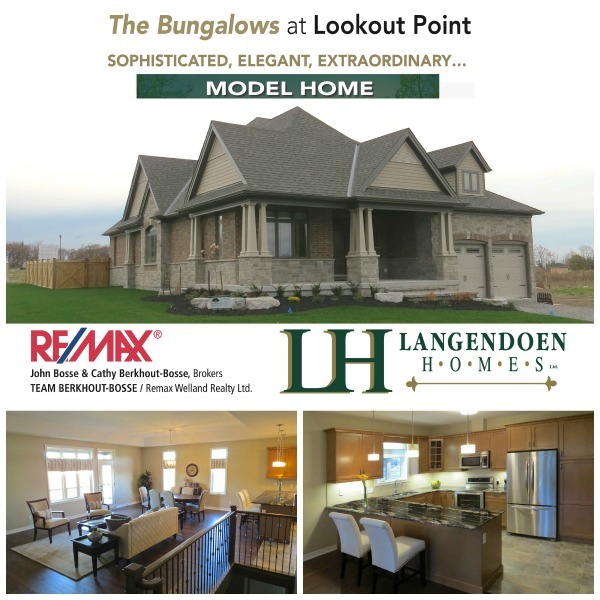 Langendoen Homes is offering a limited number of its popular bungalows on Marlene Stewart Drive located in the heart of Lookout Point – one of Fonthill’s most prestigious developments. The Village of Fonthill is located in the Town of Pelham, just 30 minutes west of Niagara Falls and boasts the highest elevation in the Niagara Region. On a clear day, the tall buildings of Niagara Falls and Toronto are clearly visible. Natural beauty abounds all year around in this popular Niagara community with spectacular displays of spring blossoms and autumn colouring. Pelham is abundant with babbling brooks, scenic country roads, outstanding cycling routes, unique farm experiences, specialty shopping boutiques and culinary destinations.